Bike lights will help to keep you safe day and night! No matter your level of bicycle riding skills, bike lights are essential to make sure you have a safe ride, day or night. Lights aren’t only needed when the sun goes down. In fact, lights are super helpful when riding in conditions where traffic may be present or their is limited visibility. That’s where proper lighting comes in. Plus many states, like Minnesota require you to have lights on your bike. 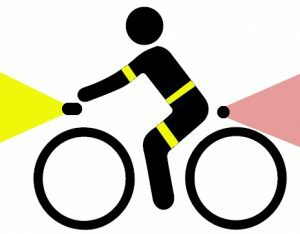 The two types of bike lights on the market are lights that allow you to see and lights that allow others to see you. Lights that help you see are usually high output LEDs that cast a focused beam of light in front of you. These lights start at 600 lumens and increase in output from there. Their size and run time depend on the battery. As an example, rechargeable and battery-operated lights are usually larger, while lights run by a generator are smaller. So, how do you know which one is best for you? It all depends on how often you plan on using it. The battery-operated kind work well as backups in the rare chance you get caught in the dark. The rechargeable kind are best if you plan to use them on a regular basis, and want to save on the cost of buying batteries. If you ride long periods of time in the dark, then it’s hard to beat a generator-powered light. Any of these lights will be great for unlit roads, trails, or paths. When you look to buy a light, they are all compared by the lumens they produce. What’s a lumen, you ask? Well, lumens are the most popular description of brightness. In the past, lights were measured by the amount of energy they consumed (watts), but with the creation of LEDs that get more light output with less power consumption, measuring brightness with watts has become impossible. Simple rule, more lumens equal brighter light. As a comparison, the iPhone flashlight is less than 10 lumens. The lights designed to be seen use an LED to flash intermittently when turned on. surprisingly they can be as small as a few coins stacked on top of one another, and have run times in the hundreds of hours. Additionally, they are usually easy to move from bike to bike if needed and are great for city streets and well-lit paths. Some riders are now finding added security in running these lights during the daytime. 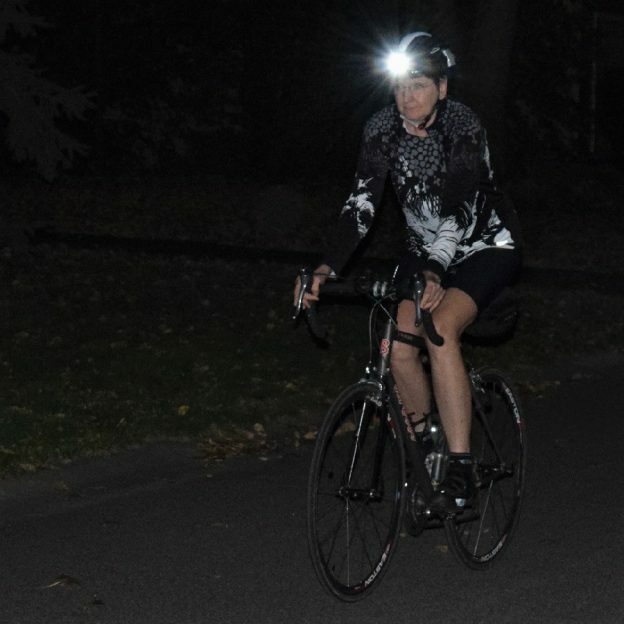 Another great way to ride safe in the dark is to use reflective products. Thanks to advancements in reflective technology you can find clothing that is completely reflective, looks like normal fabric, and glows when hit by light. There are reflective stickers you can adhere to your bike, and reflective bags you can mount behind the saddle or on your handlebars. Visibility is about safety so it’s best to use a belt and suspenders approach. A headlight will allow you to see and be seen from the front. Match that with a reflective jersey and you become visible from the sides as well. Mount a rear blinker and you become visible from 360 degrees. This entry was posted in News and tagged #lights, bicycle lights, bicycle visibility, biike visibility, Bike lights, Blinker, blinkers, generator lights, headlight, headlights for bike, lights for bikes, lupine, Magic Shine, niterider, rechargeable lights, tail lights for bikes on February 17, 2018 by John Brown.